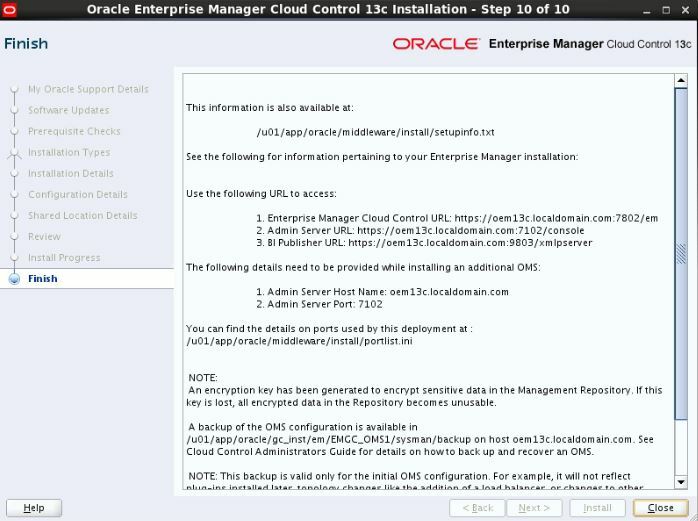 In this article, let us perform the OEM 13.2 Installation on Linux 7 64-bit. 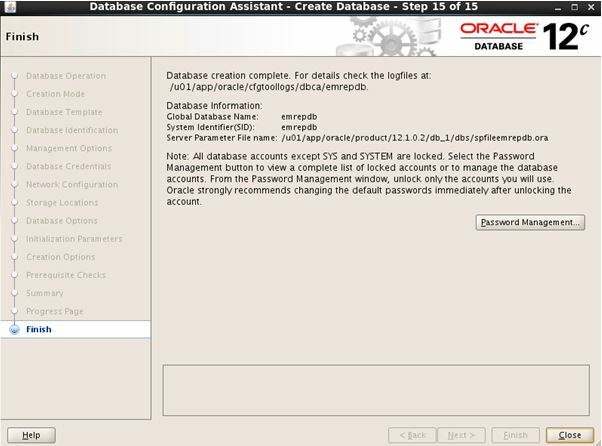 Kindly refer Oracle Database 12c(12.1.0.2) Installation to install 12c binaries. 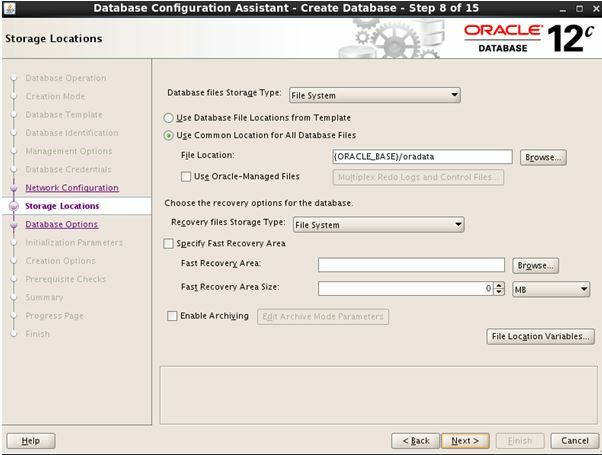 Step 1:- Unzip the repository template under the ORACLE_HOME. 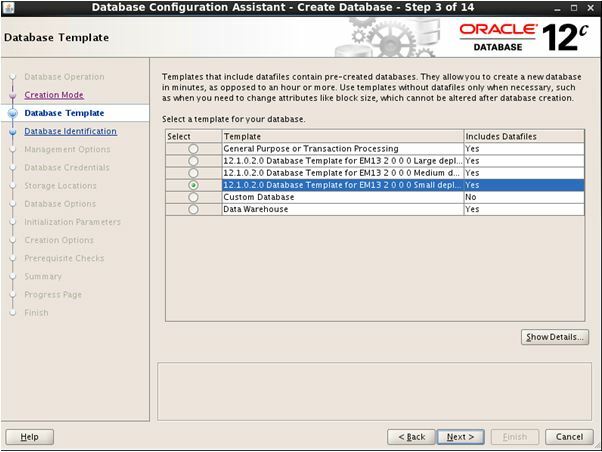 Step 2:- Start the Database Configuration Assistant (DBCA) and create a new database using the template. 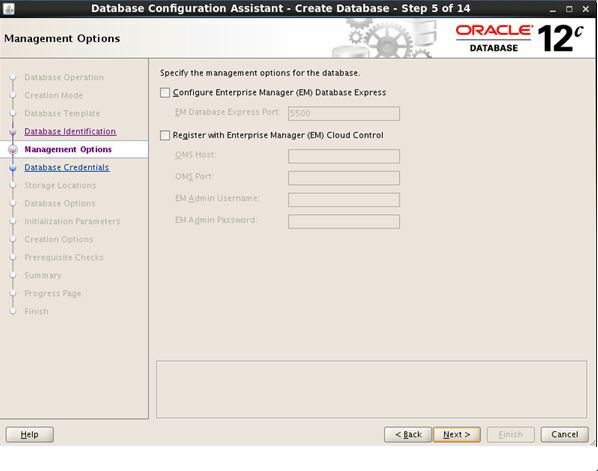 Step 3:- Select the “Create Database” option and click the “Next” button. 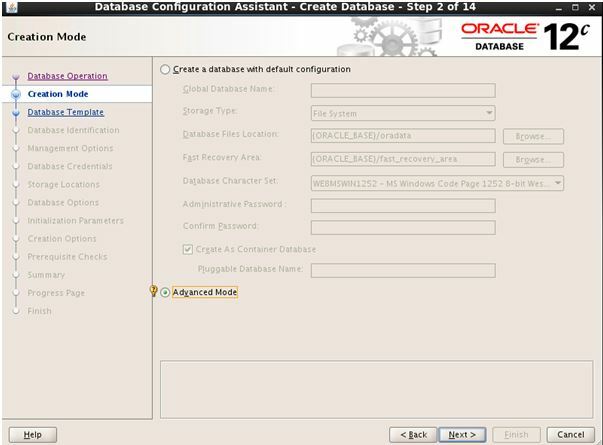 Step 4:- Select the “Advanced Mode” option and click the “Next” button. 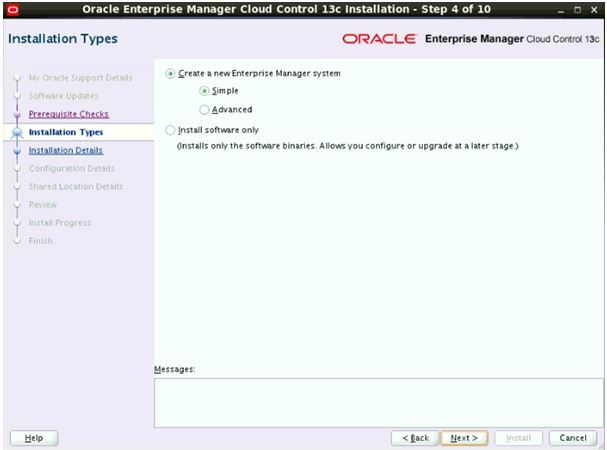 Step 5:- Select appropriate template for your EM installation Small (my choice), Medium or Large then click “Next” button. 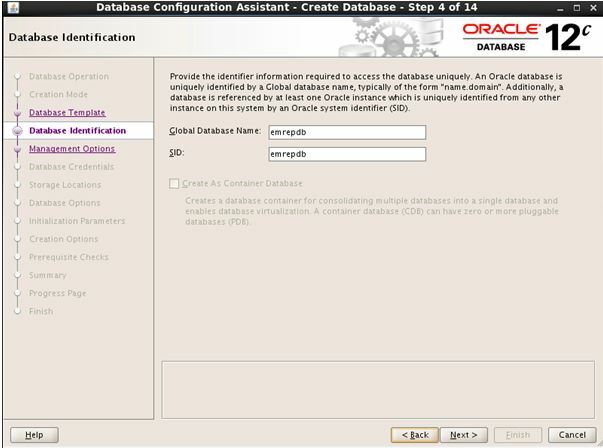 Step 6:- Enter the Global Database Name and SID, then click the “Next” button. 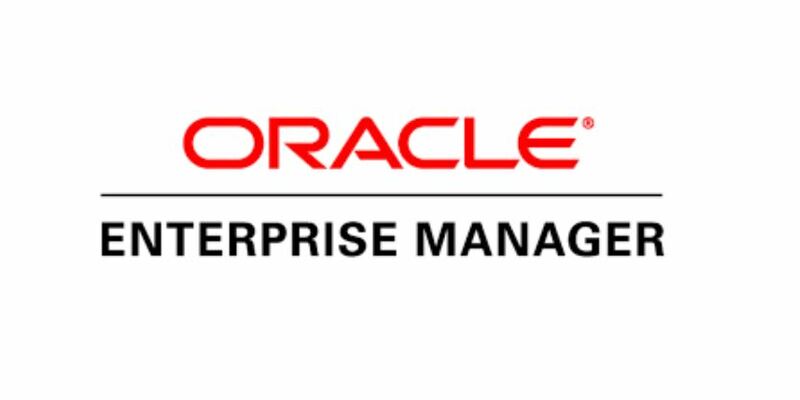 Step 7:- Both options “Configure Enterprise Manager (EM) Database Express” and “Register with Enterprise Manager (EM) Cloud Control” must be unchecked. 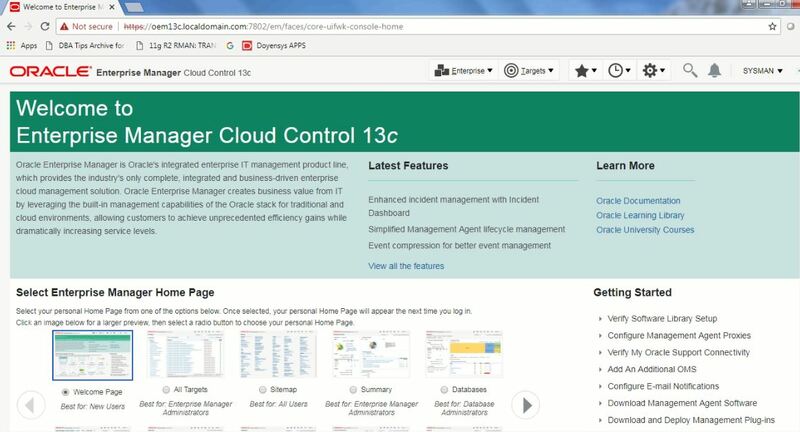 Click “Next” button. 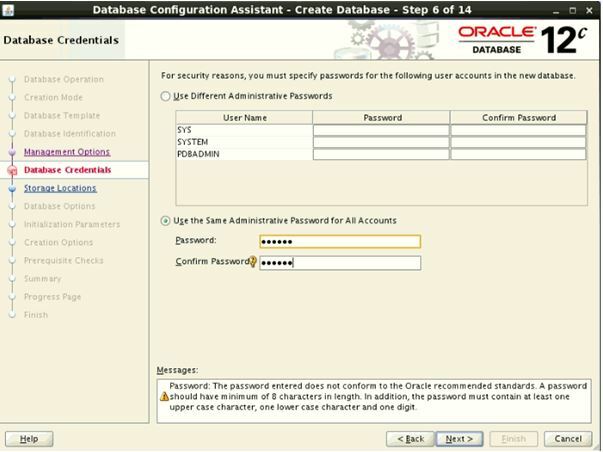 Step 8:- Enter the SYS and system password.Click the “Next” button. 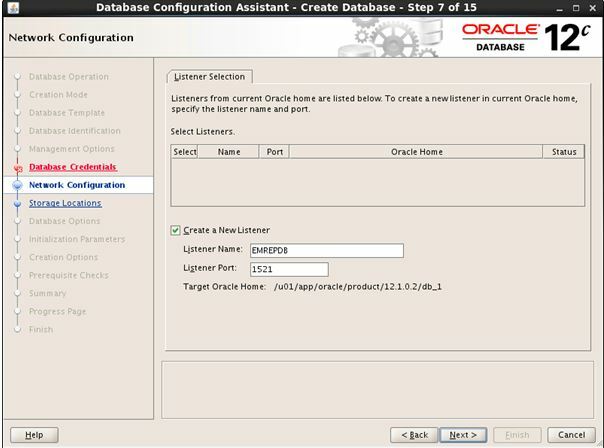 Step 9:- Enter the listener details and click the the “Next” button. 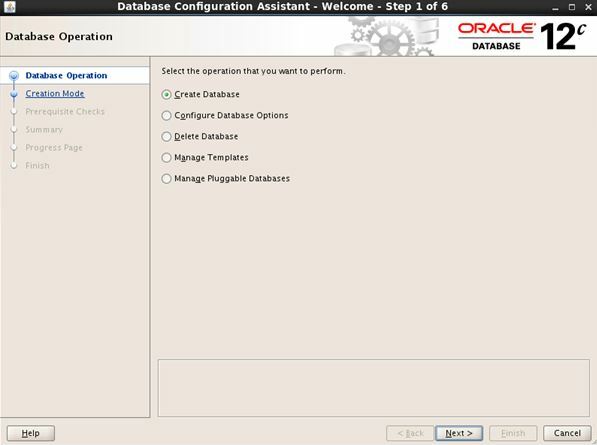 Step 10:- Specify the location where to install new database. 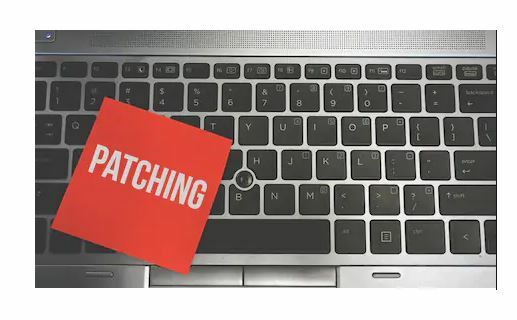 Then click “Next” button. 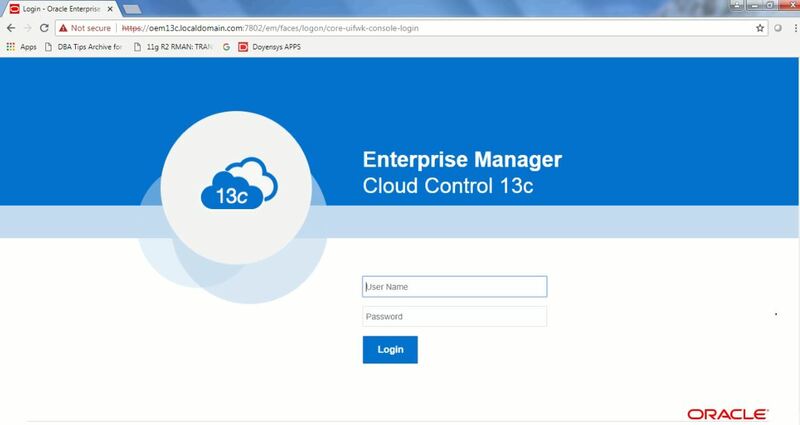 Step 11:- If we you need to change the memory settings and character sets.But I am accepting the memory defaults and character as “AL32UTF8” option. 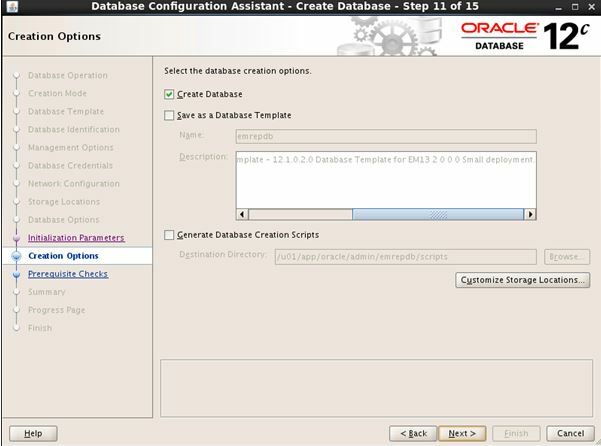 Step 12:- Click the “Next” button to create the database. 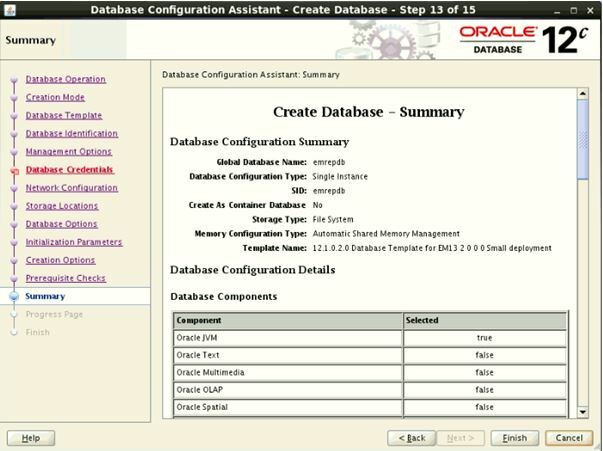 Step 13:- Revise the database configuration before it will be created. 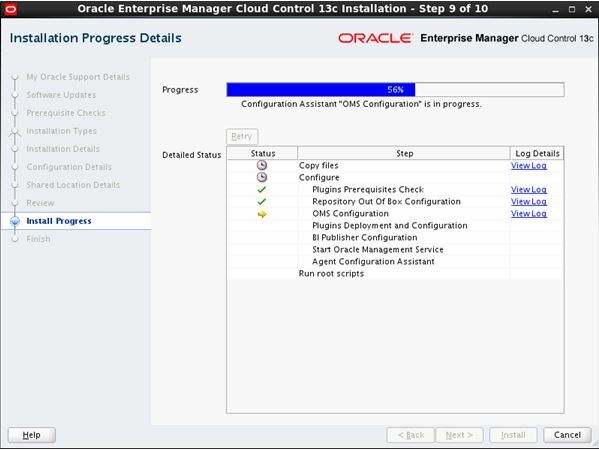 Click “Finish” button to start installation. 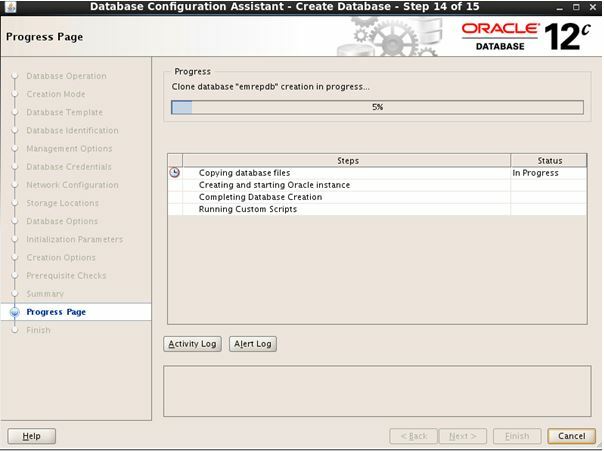 Step 14:- Database creation is complete, click the “Close” button. 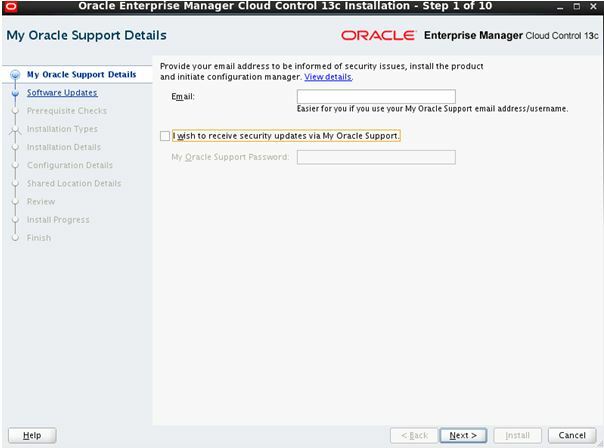 Step 15:- If you don’t want to get email after installation just uncheck “I wish to receive security updates via My Oracle Support” and click “Next” button. 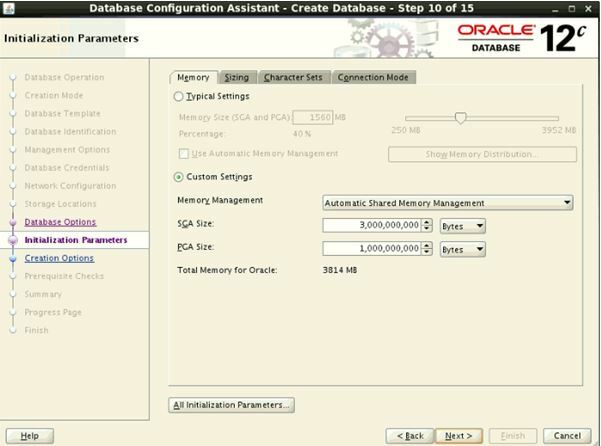 “memory”- EM installation requires at least 10GB. 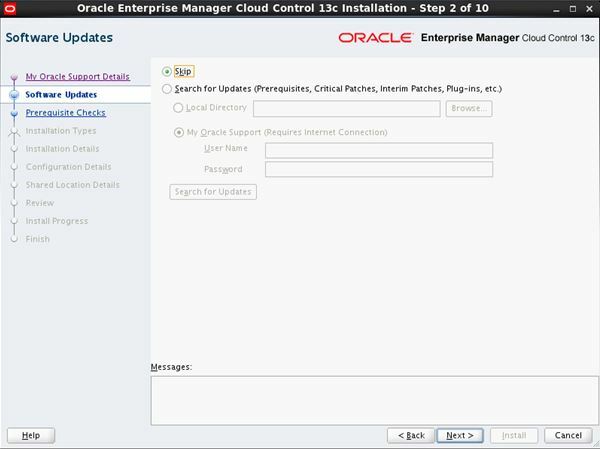 Step 17:- Select “Simple” installation method then click “Next” button. 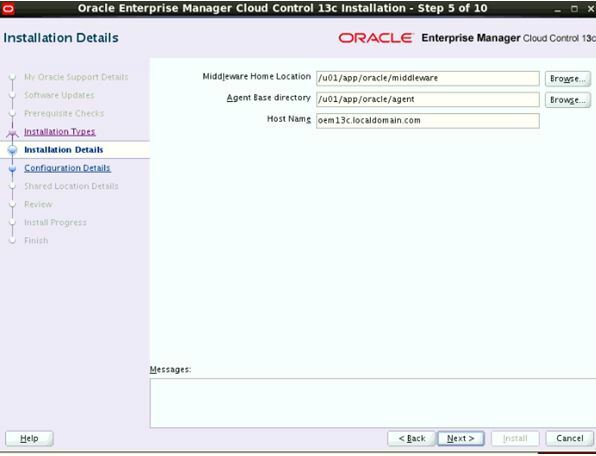 Step 18:- Enter middleware, agent location and click “Next” button. 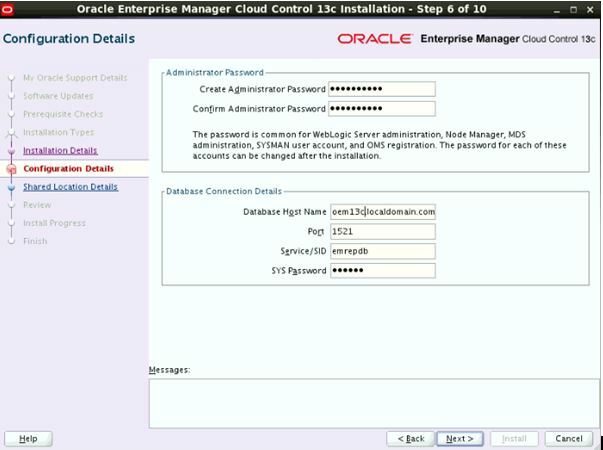 Step 19:- Enter administrator password for EM and database credentials. Click “Next” button. 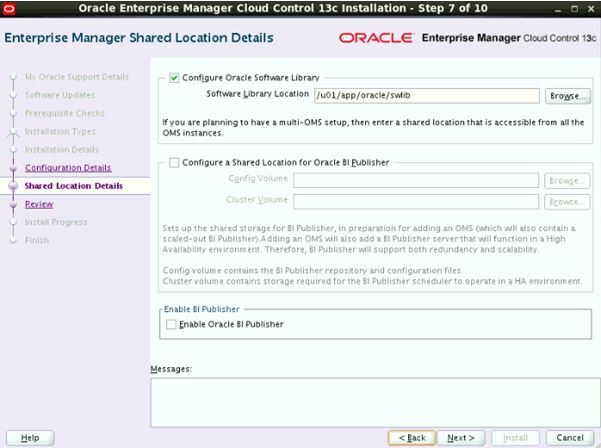 Step 20:- Uncheck “Configure a Shared Location for Oracle BI Publisher” then click “Next” button and Oracle software library is checked. 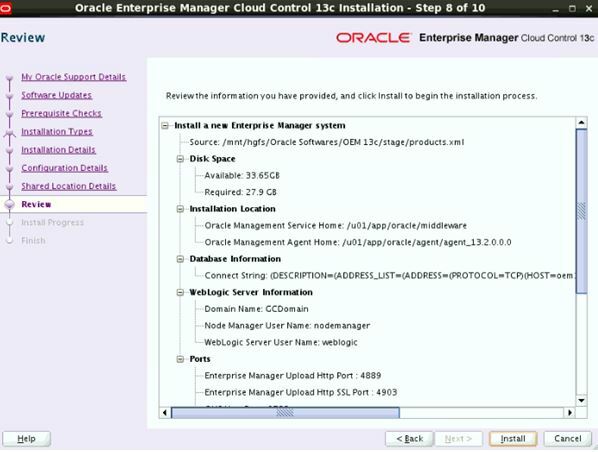 Step 22:- After installation,run root.sh script. 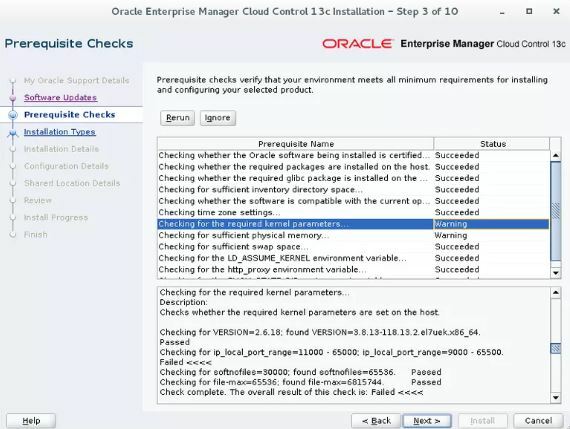 Once done click “OK” button.